Every kitchen should have a great Demi glacé on hand. The depth of flavor cannot be replicated, slow roasting and time are crucial to making a deep brown, clear and shiny finished product. I make this recipe 2-3 times per year, freezing it in small batches for later use. 1. Preheat the oven to 350 and roast the bones for about an hour. Do not burn. Remove from oven and coat with tomato paste. Return to the oven for about 5 minutes until the paste roasts but doesn’t burn. Place the bones at the bottom of a stock pot and form a barrier between the vegetables and the pot. This will prevent a bottom burn. 2. Slice 2 onions in half, with skins on, pla ce the flat part on a sizzle plate and roast until very dark and extremely light. This adds the deep color and a richness of flavor to the demi. 3. Rough cut the rest of the onions, carrots and celery and roast until browned and softened. About an hour or so. 4. Add the vegetables on top of the bones and cover with water to about 4″ from the top of the pot. Add the bay leaves, peppercorns and parsley stems. 5. Simmer for 3 days. Strain and refrigerate. 6. Remove the fat from the top. 7. Reduce to 1/3 of starting volume. 8. Should make 3 Quarts. Can be frozen. 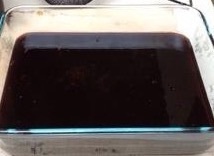 If you make a large batch, portion the demi into ice cube trays and freeze in containers for future use. Want to impress and still have time to enjoy your dinner party? 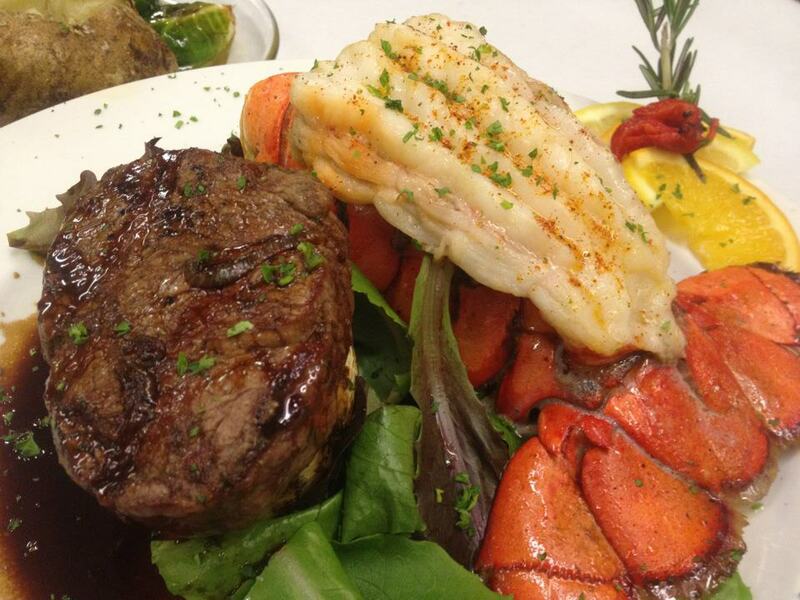 Surf and Turf is the way to go! Many grocery stores stock a nice frozen lobster tail, if you do not want to begin with a live lobster. I honestly prefer a frozen tail for dinner parties and even just family dinner as guests don’t have to wear a bib or be conscientious about the work, although fun, that goes into dismantling a whole lobster. Filet. Sweet, tender filet. Pictured is a 6-oz filet.